I was reading a pleading post on one of the forums from a photographer who had lost images on a cheaper media card and was desperate to try recover the corrupt images and this took me straight back to an experience I had in Morocco a few years ago. A friend and I went to Morocco on a photo safari and we had an assortment of CF cards ranging from bottom of the price range to top end cards. In the beginning everything was fine and all the cards were doing well, considering that we were shooting over 800 images a day between us but towards the middle of the trip temperatures started soaring into the 50’s, people started flocking to water and the cheaper cards started to take serious strain. At first it was the occasional miswrite and corrupt image which is where most of the cards remained but at least two of them began to fail regularly. The 3 top end cards in contrast didn’t experience a single problem and they eventually were relied on to do all the work with us frantically backing up to a laptop every chance we got to clear the cards for reuse. There are many genres of photography where a corrupt image can be a huge problem but in panoramic photography a corrupt image can be fatal to the outcome of the final shot. A panoramic image is often made up of a sequence of images that get stitched together and these images usually overlap each other by about 35%. Lose even one image and you end up with a hole in the final picture and there is no way to recover from this unless you happen to have shot more than one sequence from the exact spot and you can use a frame from another sequence. This is provided that the lighting conditions were the same and that you have enough storage. In my case this is even more crucial as my panoramic images often consist of more than 90 segments and each segment can consist of up to 9 bracketed frames. That’s often in excess of 810 images and if even one image gets corrupted, I can be looking at a wasted trip. Shooting so many images means that running out of storage becomes a reality and is why you probably won’t have any spare sequences. When you are standing at the top of a mountain with minimal gear and the only thing protecting your perfect panorama is the quality of your memory card. My lesson from Morocco has never been forgotten. These days my choice of card is Lexar and I have used another brand previously by there were a few things that Lexar offered me that finally convinced me to switch. Let me clarify that I am indeed sponsored by Lexar South Africa, however I started using their cards and became a brand ambassador for them prior to receiving the sponsorship. I am very careful about whom I associate my name with and endorsing Lexar wasn’t a decision I made lightly. Firstly and most importantly Lexar is made by Micron who is a huge high quality advanced memory and semiconductor manufacturer. Micron has quite a reputation in the market which gives Lexar a lot of credibility right out of the gate. Besides producing extremely high quality media, Lexar has a very nifty feature in their Lexar® Image Rescue® Software (which you get free with the Lexar Pro cards) called Secure Erase. What Secure Erase does is essentially wipe Lexar cards clean by erasing every single sector on the card. This ensures that the card always operates at maximum speed but it also means that in the event that there is a degraded sector (which can happen over time to any card), the sector can be identified, flagged and removed from use before it becomes a problem. It’s also a good way of ensuring that your cards are clean and cannot be recovered in the case that they are lost or fall into someone else’s hands. But for me it’s been far more than just the data security that the brand offers me, it’s also about the speed. 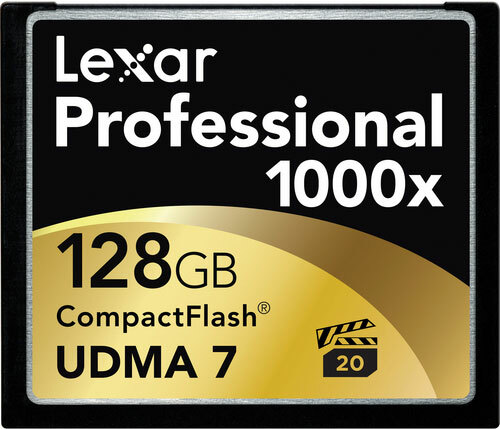 If you know anything about Lexar media, you will know that it’s fast in fact I believe that at the moment, their 1000x CF card is the fastest CF card on the market. Remember the 800+ images I need to shoot for a single panorama, well those often have to be shot in fast changing lighting conditions and the longer it takes my camera to dump data from the buffer to the card, the slower I have to shoot. In the past I was using a manual panoramic head so I would just have to wait for the buffer to empty and then carry on shooting but recently I started using a Robotic head which introduce another big problem. The Robotic head controls the whole process including the shutter release and is programmed for the shutter timing of each bracketed sequence. It doesn’t know when there is a delay caused by the buffer being full and suddenly losing an image becomes the least of your problems with out of sequence exposures becomes a far greater problem. By out of sequence I mean that the head thinks that the bracket set is complete when it is not because the full buffer means that there are shots that still haven’t been taken. The head then moves to the next position and starts taking shots but it begins with the remaining shots from the last position and everything there on will be out of sequence and will be unusable. You can program a delay in between each segment but that once again increases the shooting time which you can’t afford to do, you have to push right to the edge to keep your timing to as bare minimum. Add a 36mp Nikon D800E to the equation and I need very fast and reliable cards to keep me out of trouble. All I need to do is secure erase them every few weeks to stop them slowing down with the added benefit that I have a card that I can trust to keep my data safe until I get back to a computer where I can back it up. An image like the Lion’s Head panorama above can easily print to 7m with no loss of detail and since switching to Lexar I haven’t lost a single panorama or had any out of sequence problems. 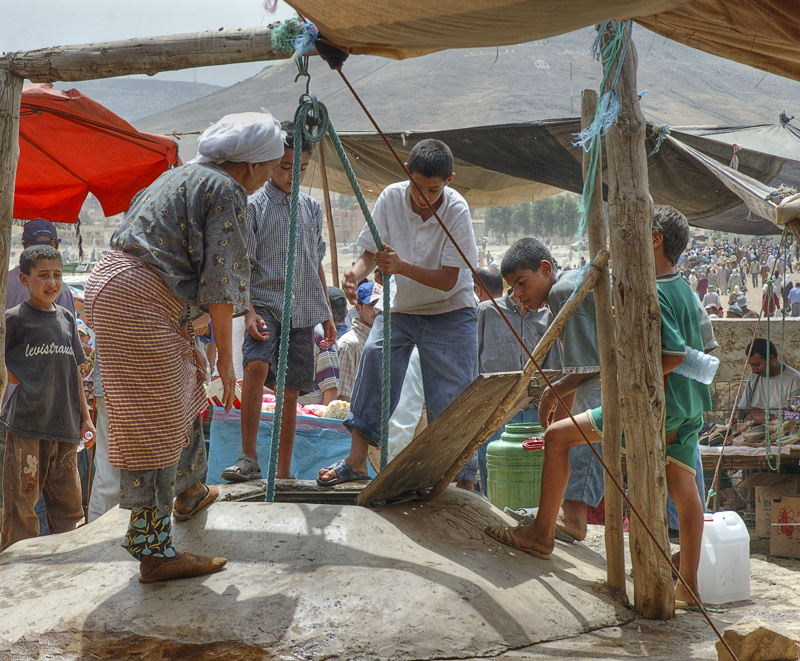 This entry was posted in Panorama, Tech Stuff and tagged 1000X, CF Cards, Lexar, Morocco, Panorama.